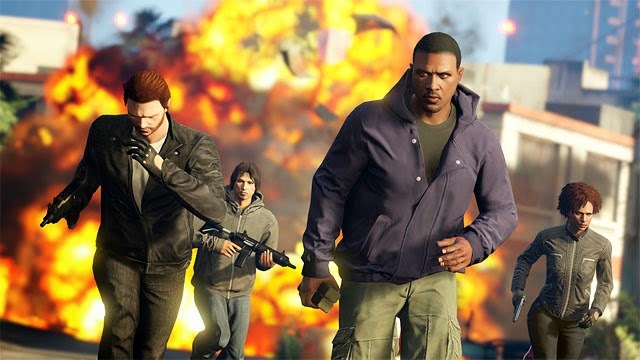 GTA Online Heists are coming! Just a couple of days in fact.. Problem is.. I'm still on the PS3... Not a huge problem actually, but I would like to continue playing GTA V on the PS4 as soon as possible. Just 1 small problem, I would like to achieve Level 100 for GTA Online on the PS3 for the trophy before I move up to the PS4. How much time left? Not much.. Just about 5 days actually.. So I'm crossing my fingers for a Double XP weekend. Just over 8 levels to rank up. So, will I get there in time? I hope so.. Join me in the next 5 days as I track my progress in my race to Level 100. Why just watch my progress? I would like some help with missions as well (on the PS3), so if you want to help a friend out, let me know your PSN ID and I'll send you a friend request. Or if you are on the PS4, join me in some Online Heists once it's ready. Let's do this! Heists are coming!